Sky, as a major TV provider, has many different apps that stream your favorite content when you are away from home. While this apps –many of which include dedicated apps to watch sky tv online free, particularly news or sporting programs- are designed for UK-based users who are travelling within the UK and want to enjoy the contents they are paying for anywhere they are, there is a little trick you can apply to enjoy those very contents even if you are not a UK resident –but you will need a friend who has Sky and lives in the UK, though-. Since Sky streaming apps for computers or mobile devices are designed to just be an extension of the service you are already paying for, they only show the contents available at the country you access them from, and that is when you are going to need a VPN. A VPN is a very simple piece of software –there are several companies that offer VPN solutions, each with different features and capabilities- that you install on your computer, cellphone or tablet an sends all your information through a series of virtual routers located all over the world. While the main purpose of VPNs is to hide your real IP address and location to give you more privacy, they can be used for accessing online content that is blocked in your area. While you probably are going to have to pay for the full version of any VPN you choose, full versions allow you to choose the country you want to use as your virtual location. After downloading and installing your VPN, you just have to choose any country in the United Kingdom, access the Sky streaming apps, enter your UK-resident friend’s client information and you will be able to watch all the sports and news programs from UK for free. Also, this shouldn’t cost your friend any extra money, since it is a service included in his regular bill. If installing a VPN and getting a friend to help you feels too complicated or time-consuming for you, you can always search the Internet for one of the many streaming services that allow you to watch sky online. Many dedicated websites from all around the world broadcast television signals in real time and they have a wide array of channels available for you to never miss out on the big game you have been looking for or the relevant news you like to get from a particular anchor. You just have to make sure you have an updated and functional anti-virus software installed, since due to the high traffic these kind of webpages get, they are often targets for hackers to plant virus that could damage your computer. Also, you should know beforehand that many of these online streaming sites do not offer high definition options and you may have to click on a few ads before accessing your content. If you think that none of the two previous options is right for you, because installing a VPN sounds complicated, you do not have any friends living in the United Kingdom or you do not want to deal with tons of ads and potential malware on free online streaming sites, but you still want to watch Sky sports online for free, there is a third option that you can try, especially if you are looking for a very popular sporting event or a transcendental news coverage by your favorite anchors. Most major social networks have an option to live stream with your cellphone or computer, and there are many people around the world who like to live stream sporting games or important news coverage to either help propagating the information or gain followers. You just need to look for live streams originating in the United Kingdom and you might get lucky and watch Sky online for free and with no further complications. It is definitely and option you should at least try –though it is not guaranteed to always work, like the previous two-. Even when international news or sports games are the same around the world, everyone enjoys the experience when presented by a particular group of people, or feels like some news anchors and chains are less biased than other. If your preferred programs are only available in the United Kingdom and you don’t live there, you don’t have to worry: there is always a way to watch Sky online! One of the most popular reasons why people from countries where the service is not available in full try to get Sky TV in Germany for example, signal is that they want to watch the season premiere of a series only transmitted in the UK in real time, before social networks are flooded with spoilers. Many people are familiar with online streaming services that offer the hottest series, but they usually take a long time to update their contents. If this case applies to you, you should know that there are also several pages that constantly live stream channels unavailable worldwide. There are two things to consider, though: First of all, there are many paid live stream services that are a scam and will take your money and then redirect you to free websites, so you should be careful. And, of course, the free webpages, even when they work, are usually riddled with ads, take a long time to buffer and show constantly-interrupted content, offer almost exclusively low definition options and could even damage your computer if you are not careful. Sky GO is one of the most convenient features of Sky in the United Kingdom. It lets you watch your favorite shows and channels in real time at you mobile device or computer, in case you are travelling or on the go. While this is a great option for UK residents who are already paying their Sky bill and just want a more versatile option, the service is currently unavailable in some countries, including Germany, which makes it a not-so-great option if you are living in Germany or even if you are an UK resident travelling abroad. There is a clever solution, though. A VPN (which stands for Virtual Private Network) is a piece of software you install on your computer or mobile devices to route your internet traffic through a different, virtual server after it passes through the server you are actually using. To put it simply, when you access any website, the website can tell your current location and selectively block the content for particular regions; but with a VPN you kind of “trick” the website into thinking you are accessing from a different location, which would prevent any regional content blocks. While most free-to-use VPN’s are designed only for privacy and they use any server available on any country in the world, there are very affordable choices that let you choose which country to use to route your traffic. If you are already paying your Sky bill in the UK but happen to be travelling to Germany, you could just buy a VPN and select a server from your home country to access all the content you are entitled to. If you are not an UK resident and want to watch UK TV in Germany, you will also need to get someone from the United Kingdom to let you use his or her client information to access Sky Go. There are several companies that sell Sky cards to people who want to have all of the UK Sky channels available while living outside the UK. The way that regular Sky signal works is by installing a dish that gets the signal from the air and sending it to a digital box, which decodifies it and then sends it to the TV so you can enjoy all the channels. The problem is that since the signal waves are literally everywhere at all times and the decodifying boxes aren’t very complicated to build and therefore are sold by many third parties, Sky users get a special Sky card that goes inside the digital box to “authorize” the user to receive Sky’s signal. Many companies in different countries sell these so-called Sky cards with an included special digital box that behaves exactly as it would in the UK, allowing users from other countries, like Germany, to get UK TV in their homes. There are several different companies with different pricing plans and channel packages, so you should browse for a while until you find one that includes your favorite channel! Whether you are a UK resident travelling abroad that just wants to enjoy the service you are paying for wherever you are, or you are a resident from another country and want to get the channels and programs you have grown to love, you should rest assured there is an option that will allow you to do it. You just have to compare all of them and figure out which one is best for you. Sky plc is one of the largest pay-tv broadcasters in Europe. It has subsidiaries, ventures and partnerships all over the world, an only in Europe it has more than 21 million subscribers. Sky plc’s huge size, partnerships with many studios, networks and channels in almost every part of the world, makes it a great option for a TV provider. The problem is that in only offers services as a regular TV provider in Europe in Spain, Italy, Ireland, Germany, Austria and the United Kingdom, which, as you may have noticed, does not include France. Will my Sky Q box work in France? 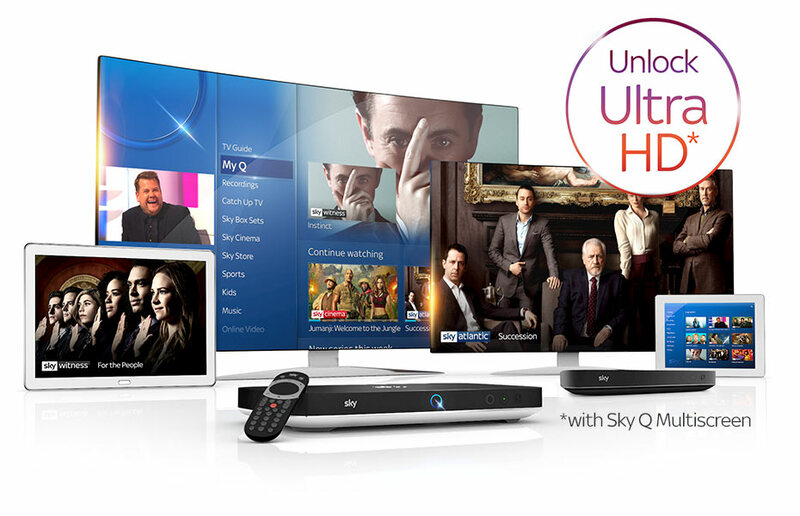 Sky Q is one of Sky’s many TV services, and it features HD and 4K Ultra HD content. It is great for enjoying your favourite movies or sports events at the highest resolution possible. The thing is, as you could probably imagine, that you can only hire Sky Q if you live in one of the countries where Sky offers the service. First of all, when you hire Sky Q, you get a digital signal receiver (also known as a Q box) and a little card that makes it work. Technically speaking, what you pay for is only the signal and the box does not belong to you, Sky “lends” it to you so you can enjoy the service you are paying for, and you are not supposed to move it out of your house –let alone the country-, and the card is supposed to only work with the Q box it was originally paired with. This is all technically speaking and in theory, because while it is supposed to be forbidden by your contract, several people have successfully taken their Q boxes out of their homes and enjoyed their TV service in other countries, or even just took the card and placed it inside a third-party digital box and claim it has worked. The bottom line is that if you are going to spend lots of time in France and you already have hired Sky Q’s service in a country where it is offered, there is no guarantee that you could just take your box with you and it will work -it probably won’t-, but if you decide to try, you might just get lucky. If you do not own a Sky Q box or you tried to take it to France and it simply didn’t work, you can always head to one of the many online streaming services. They broadcast live content from some of the main channels of several companies and they are free to watch in case you really do not want to miss a football game, for example. Naturally, there are many downsides, as they offer almost exclusively low resolution options, they are riddled with ads everywhere, they can be very slow to buffer and interrupt your event every few minutes and, if you are not careful, they could even infect your computer with virus. Needless to say, this is a last-resort option. Pretty much anyone who knows about Sky’s regular services is also familiar with Sky GO. Basically, Sky GO is a service that allows you to access the contents you are paying for with your regular subscription even if you are not at your home. This works by accessing the Sky Go webpage, introducing your client information and streaming your contents online for the same fee you are already paying. The problem is that Sky GO is only accessible from the countries where Sky offers its services. 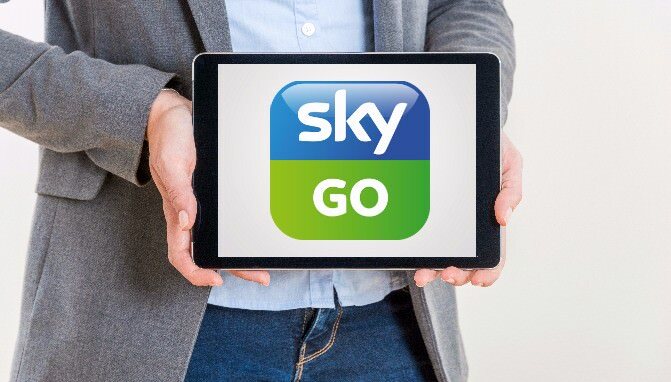 If you really are desperate and you want a high definition option for viewing Sky’s contents in France, you could ask a friend who is a subscriber of Sky in one of the countries where they offer their services for his client information and then install a VPN (virtual private network) in your computer to access Sky GO. A VPN works by “funneling” your computers traffic through servers all around the world to protect your privacy and make the Internet think you are in a different place. There are many VPN options that allow you to choose the country where you want to route your traffic through, which would allow you to watch Sky GO in France, pretending to “be” in a different country. There are many companies in France that sell what is called a physical VPN router. To put it simply, it is a third party’s digital box with an integrated VPN that includes a card similar to the card Sky Q provides. This “makes the card think” you are in a different country and allow you to hire Sky’s services in a country where they are not usually offered. While you should browse several options and be careful not to fall for sketchy devices, there are several legit companies that offer a quality service. It can be somewhat frustrating that your favorite TV provider doesn’t operate in your country, but you should remember that there are some ways to get the best experience possible and enjoy your favorite contents from anywhere in the world. Besides, Sky is a very large company in continuous expansion, so who knows, maybe they will start operations in France sooner than you think. Sky is an England-based TV provider that is among the most popular in Europe. It offers a wide variety of channel packages, original shows and one of the most comprehensive sporting events catalogs with their world-renowned pay-per-view service. And the best thing about it is that it also offers an online television service called Sky Go, which allows you to stream your favorite contents when you are not at home. 1. Why Are Certain Contents Unavailable In Certain Regions? The first thing you might be wondering is why Sky blocks the signal from a particular country to be accessed from different countries in the first place. The answer to this question, to be simply put, is that it is way too expensive for Sky to broadcast all their contents to the entire world, and since there are many shows that might be more relevant for a particular area than to the rest of the world, segmenting their content offer helps them provide any person in any country the content he or she is more likely to enjoy. First of all, we need to address the main issue, which is that Sky Go online works at certain countries and it only shows the contents available at the country your accessing it from. But whether you simply live in a country where Sky Go doesn’t work or you want to enjoy shows from different countries, the answer is still the same: first, you are going to need a VPN. VPN stands for Virtual Private Network, and it is a piece of software designed to protect your privacy by rerouting all the online traffic your computer or mobile device generates to hide your actual identity and location. 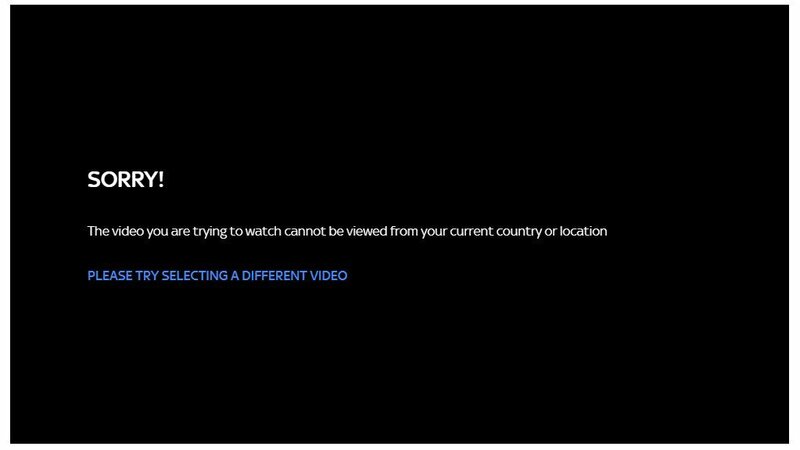 But, aside from privacy, you can also use a VPN to bypass regional content blocks, which happen when companies or users decide to make their content unavailable in certain countries. After you have already chosen and downloaded your VPN –we’ll get to details for specific devices later-, the first thing you need to find out is what capabilities are offered in the free-to-use and the paid version. Since there are so many options for VPNs, practically all companies offer a free trial so you can test their product and only buy it after you are convinced it is right for you. If you find a VPN whose free trial version includes choosing the country you want to route your traffic through, you’ve struck gold. If you don’t, you are going to have to pay for the full version. Finally, you just have to follow the installation instructions, download Sky Go and select a country in your VPN settings that has available the content you’re looking for and you’ll be all set for enjoying your favorite shows, regardless of where you are. Installing and using a VPN on your PC to watch Sky Go abroad is the easiest of all the options. VPNs for PC usually include an installation wizard that pretty much does all the work for you. You just have to read and accept the terms and conditions and install the program. After that, most VPNs will take you through an easy tutorial on how to choose the country you want to set as your location. When you are done, you simply need to download Sky Go and you’ll be able to watch the selected country’s contents. While the process for installing a VPN on a Mac might be similar to the PC’s, Mac computers tend to be a bit more defensive about using private networks from a third party and you might need to change your security settings in order to be able to install and use the VPN and view Sky Go abroad. However, the process is simple and if you encounter any troubles you can always search for online forums to help you do it. 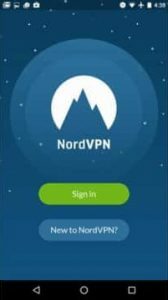 VPNs are also available for mobile devices, with many dedicated apps in the Play Store that help you protect your privacy or change your virtual location. You just have to browse for the perfect VPN app for you, download it, run it and choose for a virtual location a country where Sky Go is available. Sky Go app is free to download for Android devices, by the way. As it happens with Mac computers, iPhones can also be a bit trickier to use VPNs on. While there are many VPN apps available at the App Store, you might encounter some simple network issues with your iPhone settings before being able to run the VPN, but they are nothing to worry about and there are tons of videos and tutorials available online to help you install your VPN and watch Sky Go abroad with the free app. Thanks to tablet’s improved capabilities when compared to phones, some operating systems have a native VPN built in. Depending on your tablet’s brand and operating system, you might find that you don’t have to install a third party VPN to watch Sky Go abroad. But even if yours doesn’t include one, there are several available at the app markets that will do the job beautifully. If you want to enjoy Sky’s contents abroad but feel like installing a VPN is too hard or is not worth it since you only want to catch one show or event, there are many free online streaming services available that broadcast channels from all around the world in real time. You might have to deal with some ads, but you will probably find these sites incredibly useful for one-time-only situations. Sky has many amazing contents that, sadly, are available only to specific regions. But no matter what device you have or where you are, you can always use a VPN or search for a Sky installation service in your country & never miss out on the contents you want. Sky is one of the biggest TV broadcasters in Europe, having over twenty million subscribers. But even when several countries have Sky providers with their particular channel packages and even some with dedicated channels exclusive to them, probably the most iconic channels, shows and series list is that of the United Kingdom. Many critically acclaimed series are available exclusively in the United Kingdom and that can be frustrating if you are traveling to a different country or if you permanently live in a different country. But do not worry, because regardless of where do you live, you can watch British TV abroad with ease. 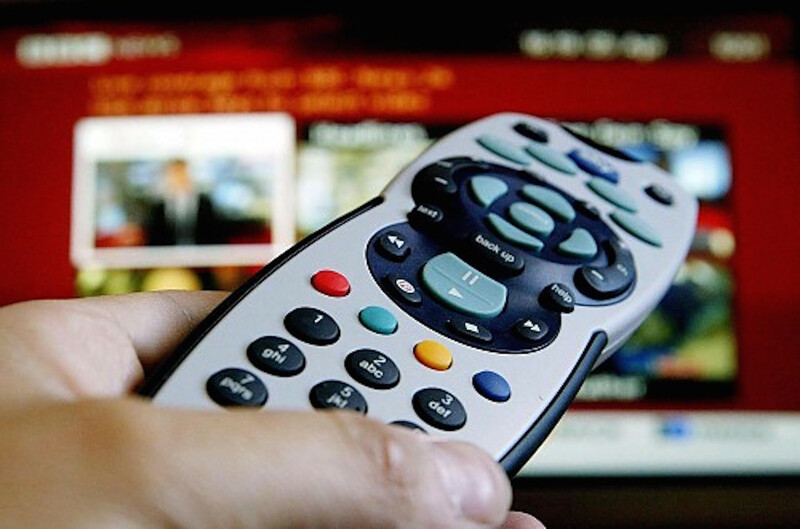 Just choose one of these 5 options to watch English Sky TV overseas. If you are a resident of the United Kingdom and just happen to be travelling abroad for business or pleasure, but you don’t want to miss out on your favorite series or shows, you do not have to worry, since Sky has several dedicated apps for your computer or mobile devices where you can stream content with the exact same quality you enjoy at your home; you just need to introduce your client information and you will be able to watch UK TV abroad without paying any extra fee –this is a service included in your regular bill. The only thing that you should keep in mind is that these apps only work in certain participating territories, so you should check directly on the Sky’s webpage if the country you are travelling to supports Sky streaming. If you are a resident of the United Kingdom but the country you are visiting does not support streaming through the official Sky apps for computers or mobile devices, there is a little trick you can pull off to still enjoy your favorite content: you can use a VPN to watch English Sky TV overseas. A VPN is a very simple piece of software that you download to your computer or mobile device that is designed to help you protect your privacy by hiding your actual location from the websites or apps you use. You can exploit the capabilities of pretty much any VPN program by choosing a server from a Sky streaming participating territory, so you would be able to watch your shows as if you were in a country were streaming is allowed, no matter where you are –although most VPNs only allow this option in their paid versions, but they still are not very expensive. If you are not an original UK resident and still want to watch UK TV outside of UK, you just have to do the same process, but then find a friend who resides in the UK to lend you his client information and allow you to use Sky’s streaming services wherever you are. If you feel like installing a VPN or getting a UK-resident friend’s client information is way too much trouble and you just want to stream a couple of episodes while you are on the go, you can always browse around to find a free online streaming service. There are hundreds of pages that live stream TV channels from all around the world for free, and they could help you if the game you are planning to watch starts in only a few minutes and you do not have time to go with any of the other options in this list. You should keep in mind, though, that they frequently include a lot of ads, that the content might not be in High Definition and that if your Internet connection is not the best, you could experience some lag and/or slow buffering times. If you are planning to stay for a long time –or even to buy a house- in a country that does not support Sky streaming services and you want to watch UK TV abroad, you could always go for a more long-term solution by buying a Sky card. 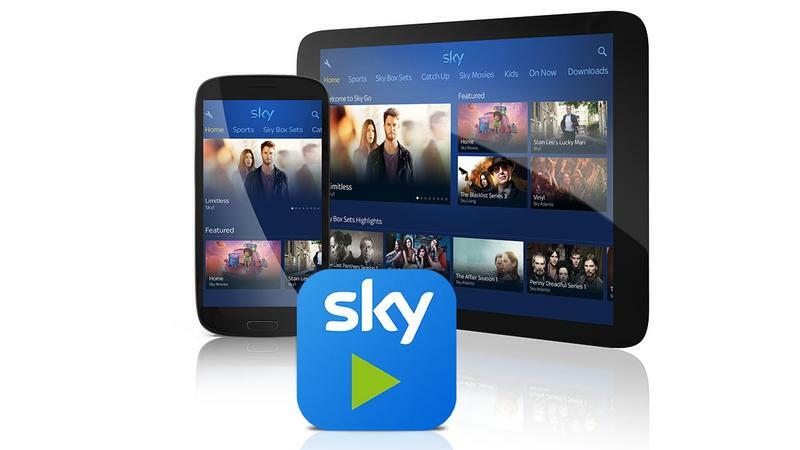 There are many companies in a lot of countries that offer you digital boxes with Sky cards included as a monthly plan, so you can enjoy the regular channels offered to UK residents anywhere you are. You only need to keep in mind that some companies might not be legit and try to scam you, but if you are careful and do your proper research you will surely find one that solves your problem. If none of this options seem appropriate for you because you just want to watch a high-profile event that is not televised on your country but don’t want to expose your computer to potential viruses by visiting a free online streaming service, you can always try your luck searching for a live stream of the event at social networks. Many people believe in free use of information and use their personal profiles to live stream events available at their countries. Especially if you are looking for a major sports event, you can always enjoy it on social networks without so many ads and potential risks. The conclusion is that, no matter where you are or where you usually live, you can always watch UK TV online outside of UK. Here we showed you 5 options so you can choose which one is the best fit for you.